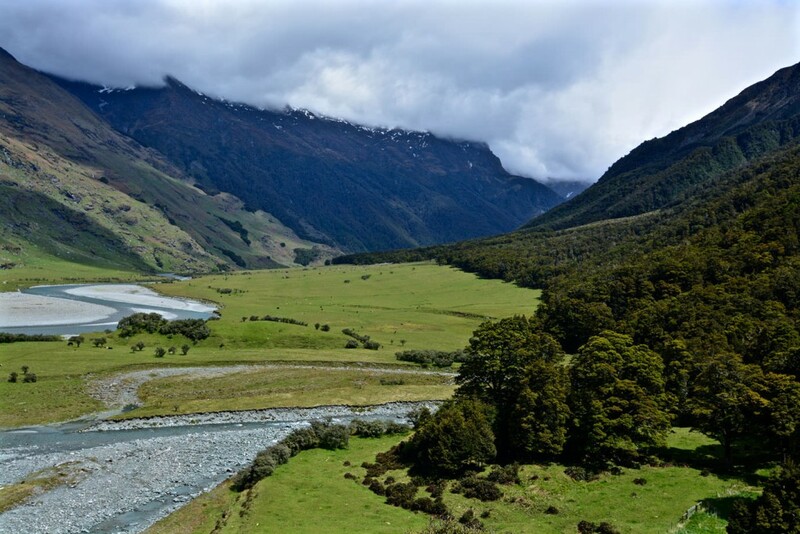 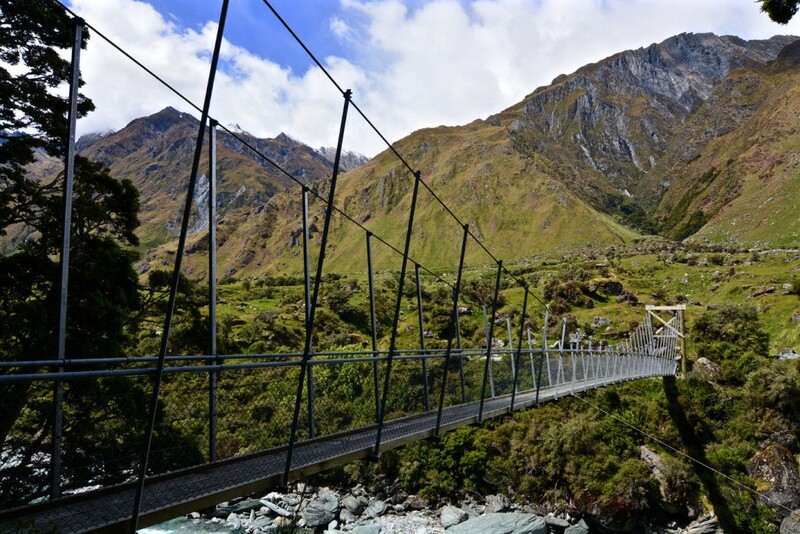 A suspension bridge that crosses Matukituki River is the starting point for Rob Roy Glacier Track. 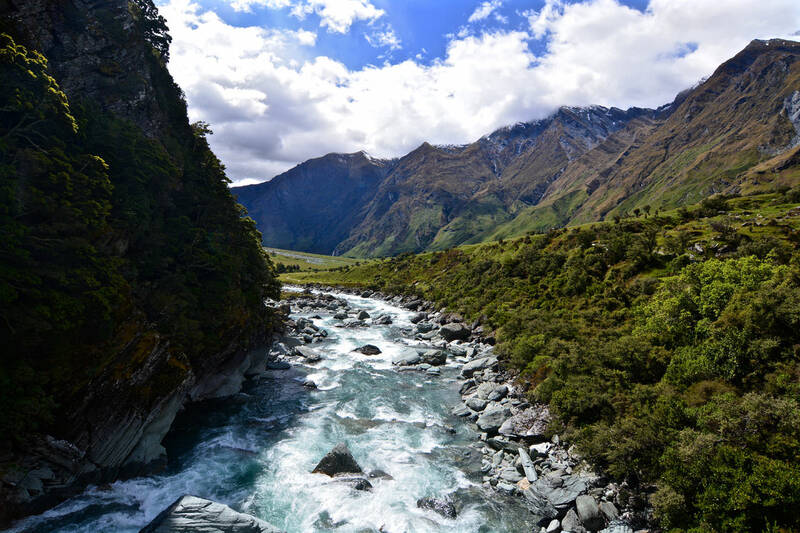 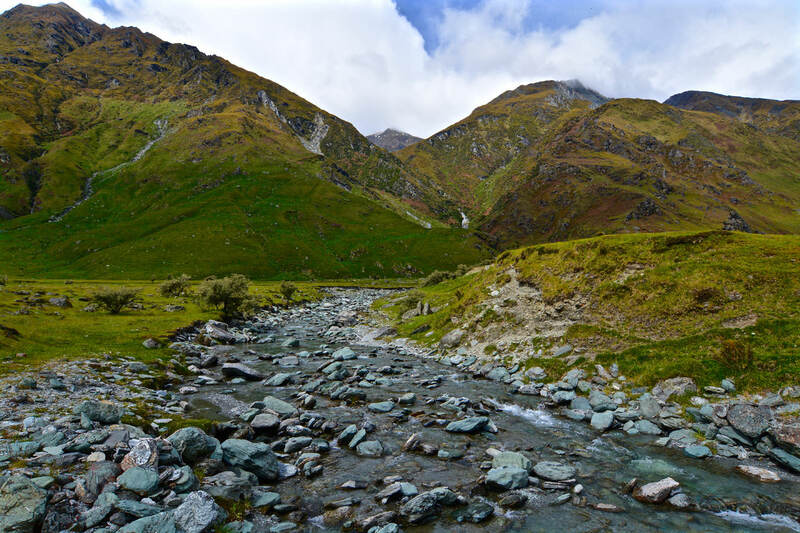 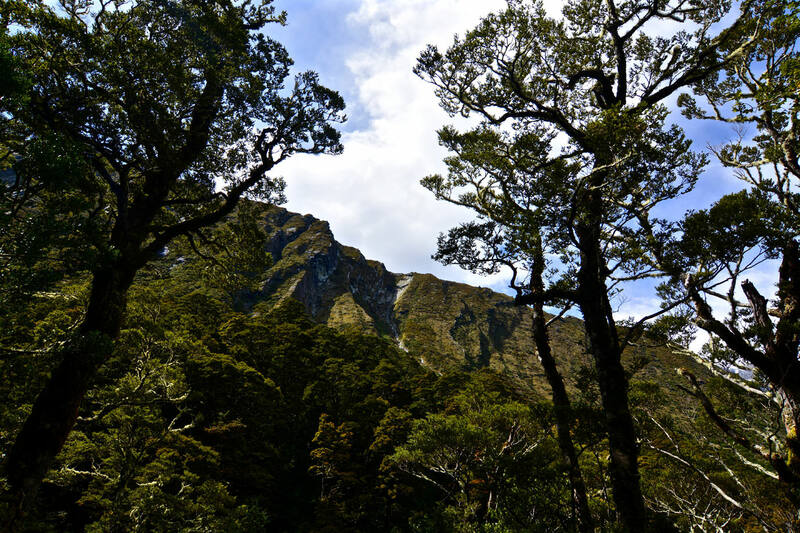 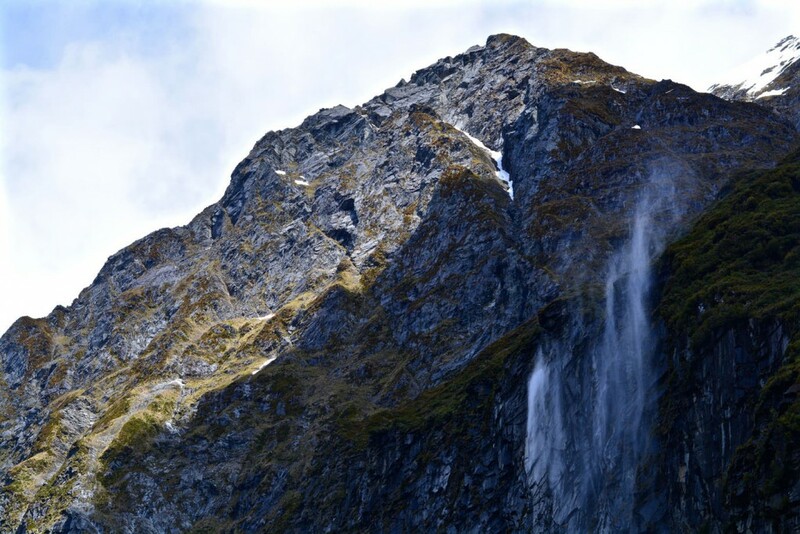 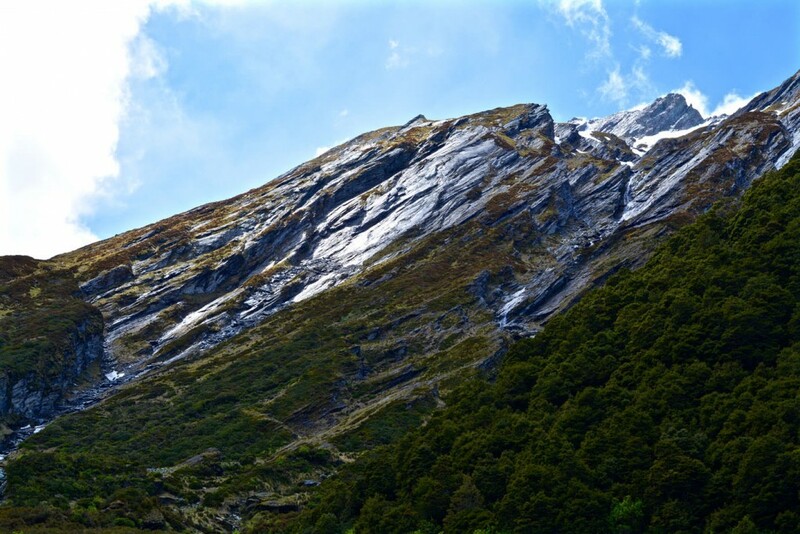 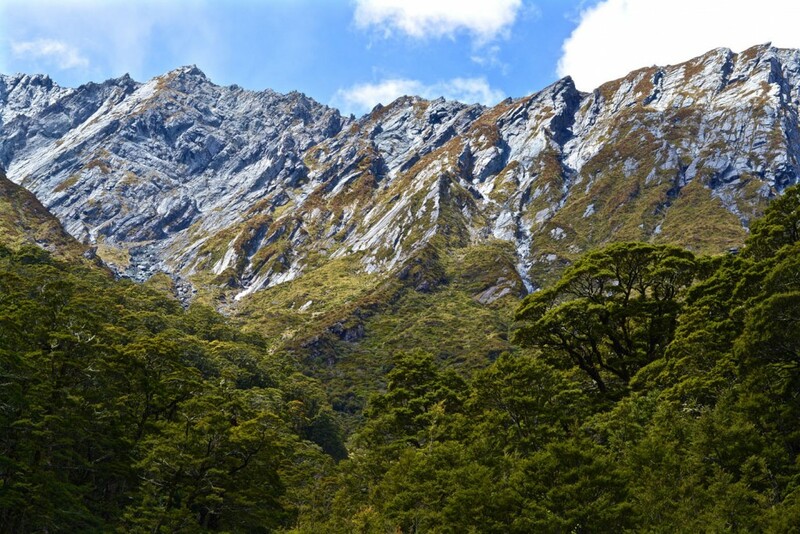 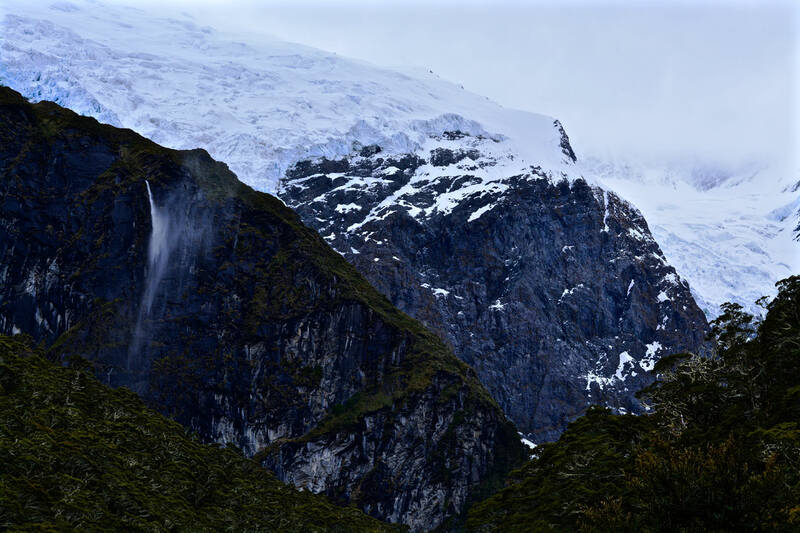 Located on the South Island of New Zealand the track up to Rob Roy Glacier is an ideal entry point to Mount Aspiring National Park. 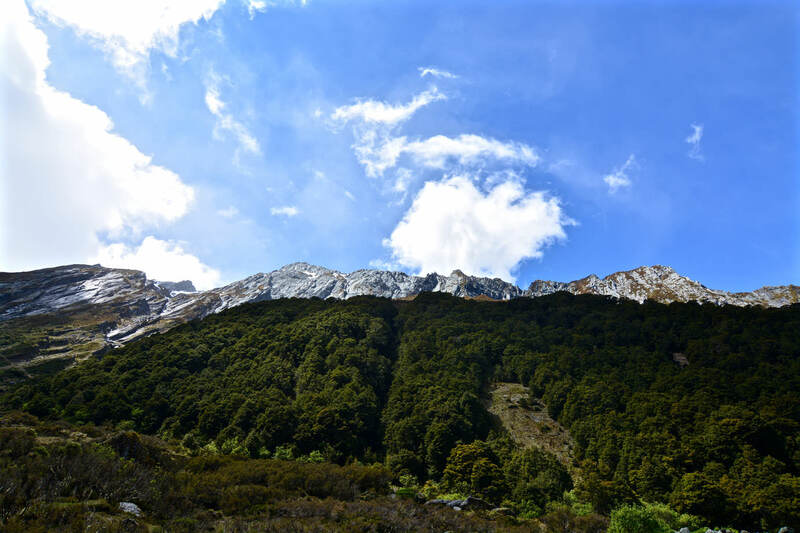 There one can find a fabulous alpine scenery including mountains, glaciers, snowfields, river valleys, alpine lakes, sheer rock cliffs and waterfalls. 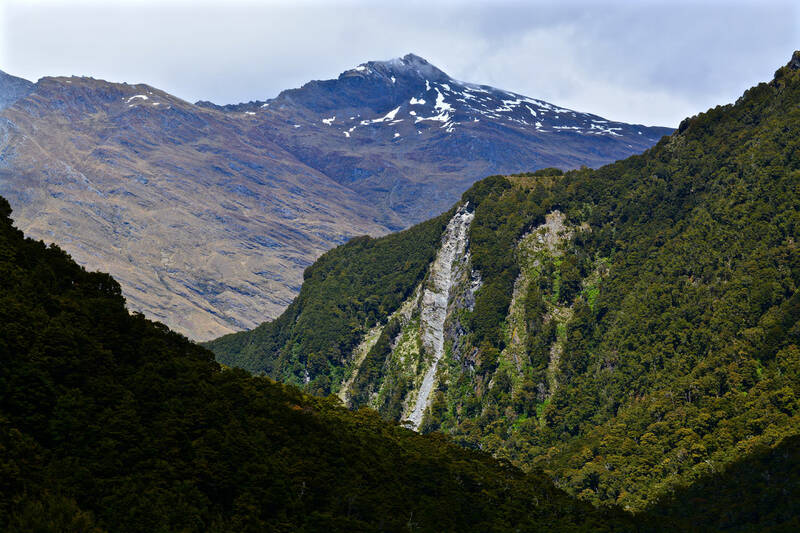 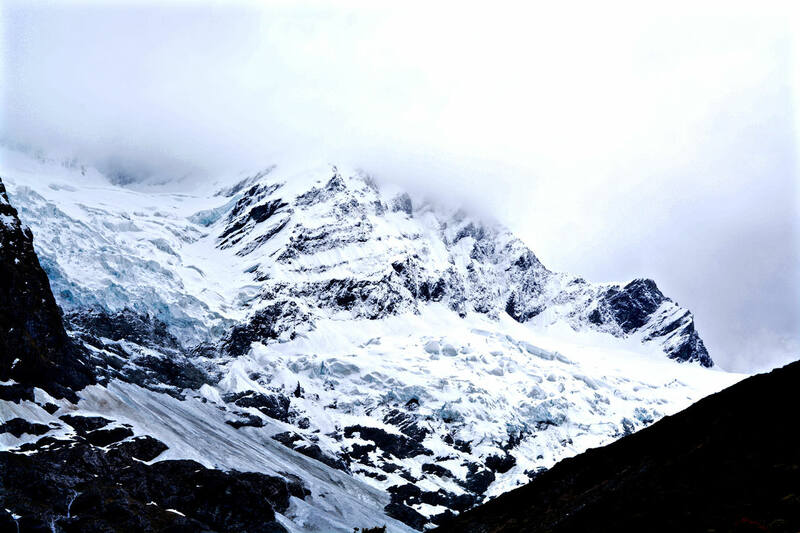 The glacier covers the slopes around the 2.644 metres high Rob Roy Peak. 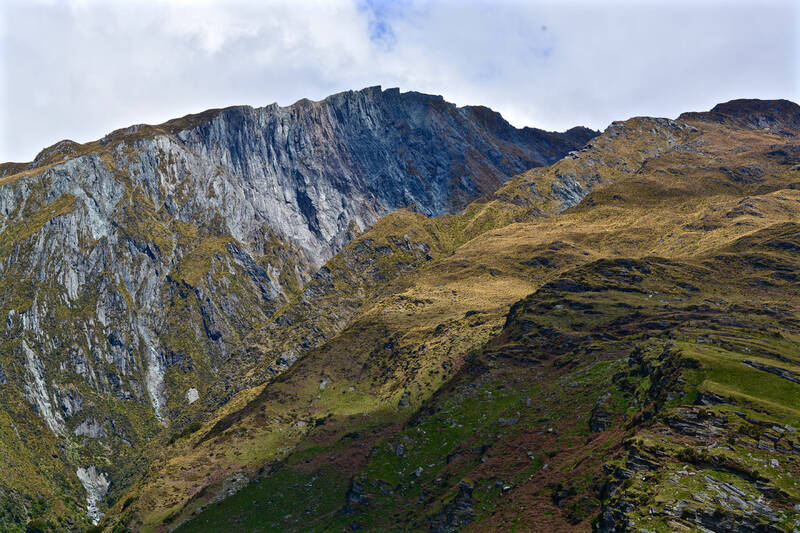 Rob Roy Peak was named after Rob Roy MacGregor, a Scottish outlaw, who later became a folk hero as he has been seen as the Scottish Robin Hood.